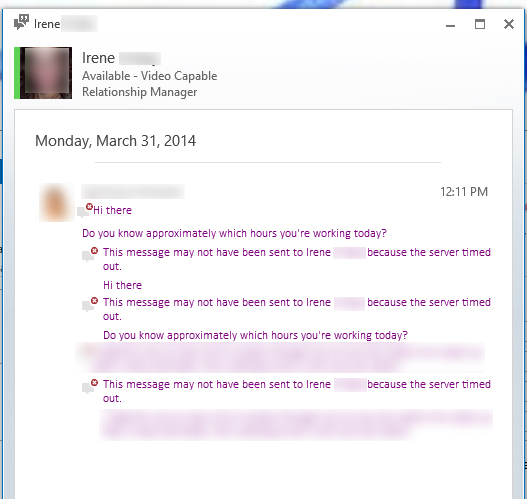 Microsoft Lync has great potential as a chat and collaboration tool, especially for busy and large offices. The problem is – I find this tool to be really buggy. It will take some time until Microsoft comes up with a decent – stable – version. Usually this message shows up when the server doesn’t succeed in sending the message, due to server error or when the other user has gone offline. So after uninstalling Office 365 64bit and installing Office 365 32bit which didn’t solve the problem, I tried to run The Office 365 Repair feature, with no success either. I then called Microsoft and they recommended to clear Lync’s cache. 1. Go to “C:\Users\Username\Appdata\Local\Microsoft\Office\15.0\Lync\” and delete the specific user’s sip (Session Initiation Protocol) folder. 2. 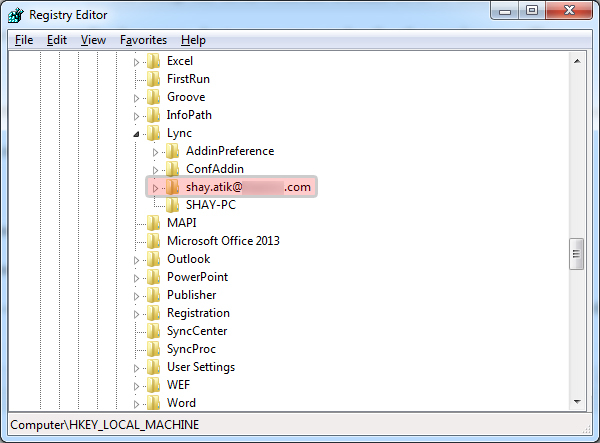 Go to “C:\Users\Username\Appdata\Local\Microsoft\Office\15.0\Lync\ Tracing\Delete All files. DO NOT DELETE ANY FOLDER. So far so good. Will keep you posted if it doesn’t solve the issue. Well, did this resolve you issue? Seems like a pretty weak ‘fix’. $LyncPath = (Get-Item env:LOCALAPPDATA).Value + "\Microsoft\Office\15.0\Lync"